After so many years, who would have thought that they could create a droid that would capture our hearts like R2-D2 did so many year ago? Well, they have. 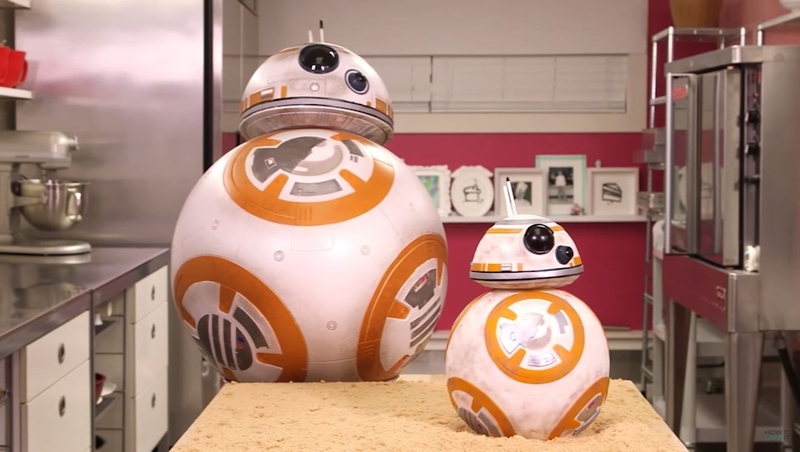 BB-8 is everyone’s favorite droid right now, and we should celebrate with some cake. A BB-8 cake! This awesome cake was made by Yolanda Gammp when Disney sent a life size BB-8 replica to her for her How to Cake It series. You can see how she made it in the video. Watch it to the end and you’ll see her slice into BB-8. It’s hard to watch, but it looks so delicious. I think she did a fantastic job.